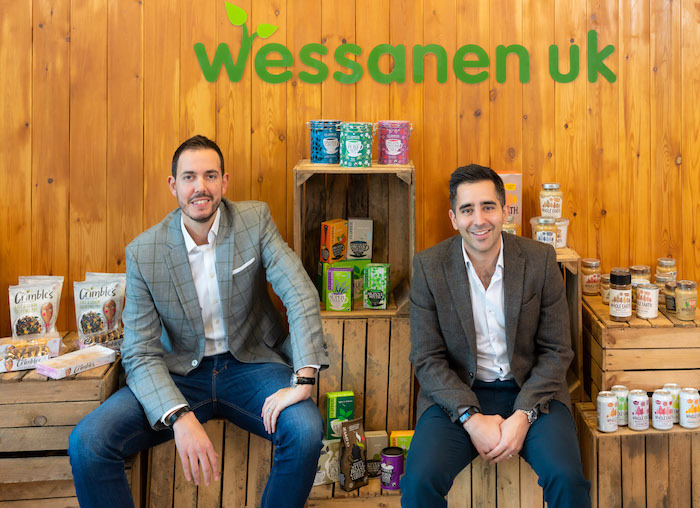 Pioneering natural food company Wessanen – owner of Clipper Teas, Kallø, Whole Earth and Mrs Crimble’s – has bolstered its senior management team with the strategic appointments of both a new marketing & category director and sales director to head up the company’s marketing and sales division in the UK. Bryan Martins has joined the B Corp Certified business as marketing & category director, bringing with him close to 15 years’ experience in the food and drink sector, including a lengthy tenure at Danone where he oversaw marketing for the company’s dairy department and also worked across its waters portfolio spanning Evian, Volvic and Badoit. Bryan and Matin’s joint priority is to build awareness of Wessanen’s connecting to nature mission and B Corp certification, and show retailers how this can directly support their sustainability goals and help them to achieve category growth. With their combined insight, the pair will focus on how Wessanen UK’s purpose-led brands can deliver added value for retailers. The duo join Wessanen at an exciting time for the business, with Wessanen UK and its Whole Earth, Clipper Teas and Kallo brands having just achieved B Corp certification– becoming part of a powerful and growing global movement that looks to make a positive difference through sustainable and ethical business practices.